If winter is a plain old c-scale on the piano, then the coral bark Japanese Maple is a vibrant jazzy number that shoots and shouts. It gets your attention and takes your notice, especially now when surrounded by a dull winter-scape. Also known as ‘Sango kaku’ (coral tower in Japanese) this variety of Acer palmatum is an outstanding specimen tree that has upright growth to 25 feet tall. It spreads to 20 feet and the new growth sings a bright coral-colored song. The small 5-7 lobed leaves are vivid green in spring with a red-tinged edge, turning yellow-gold in autumn. Red and green colors contrast well together at Christmas and on this maple as well, and winter is the season when this tree gets it’s encore. ‘Beni kawa’ is a similar variety of coral bark that leafs out later and has slower growth, reaching only 10 feet in 10 years. 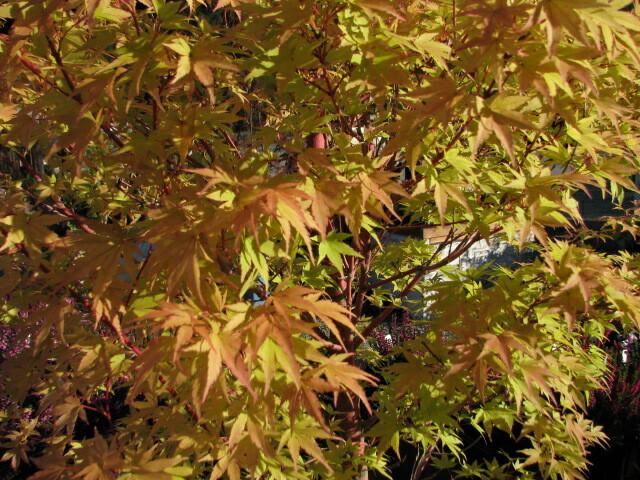 Japanese maples have such variety in size, shape, color and form. Could it be the perfect tree? Look around and you will hear them everywhere.